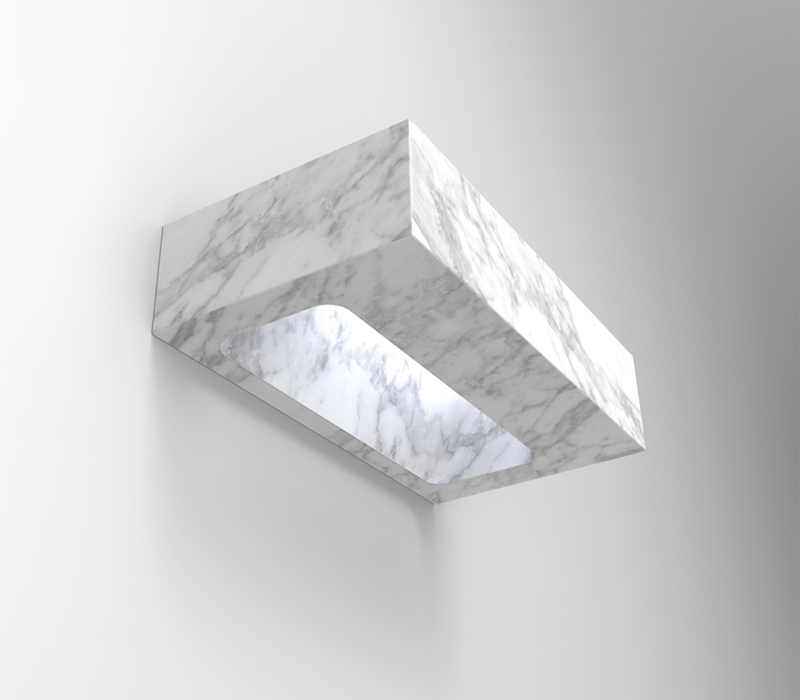 A series of five lighting fixtures thanks to the collaboration with young designers and the partnership with a specialist in the lighting sector. Produced using certified, latest generation LED technology. First chance to see at Marmomacc 2016. 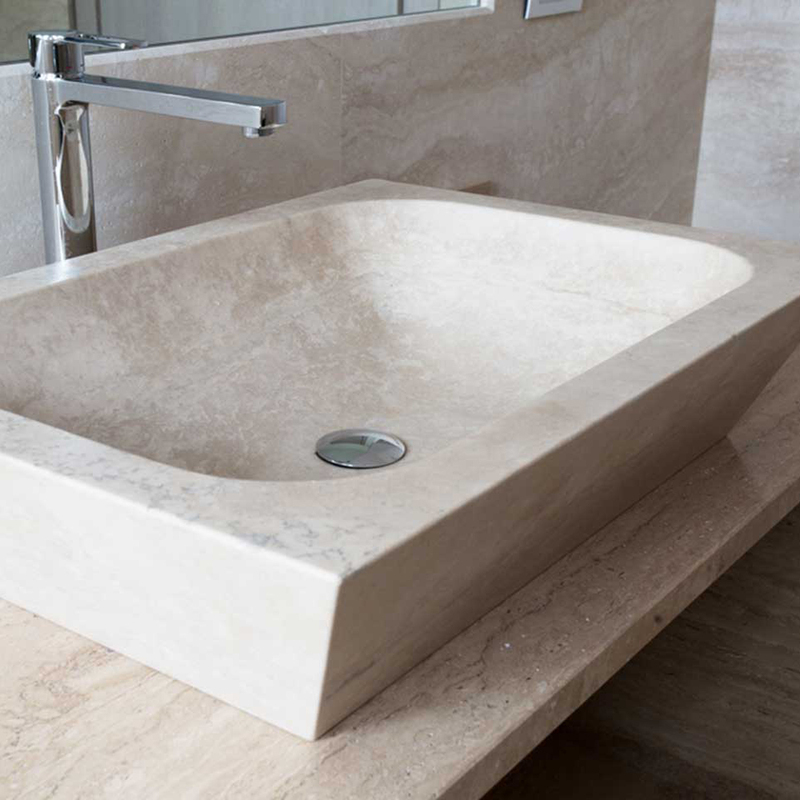 Sinks carved out from solid stone using computer controlled cutters, surfaces and furniture constructed with slabs cut and glued with precision and care. Wall coverings and shower bases with modern form and decor for shower areas in residential or spa contexts. Computer controlled tools enabling the creation of holes or pockets to allow linear drains or precision- aligned round drain outlets to be inserted seamlessly. 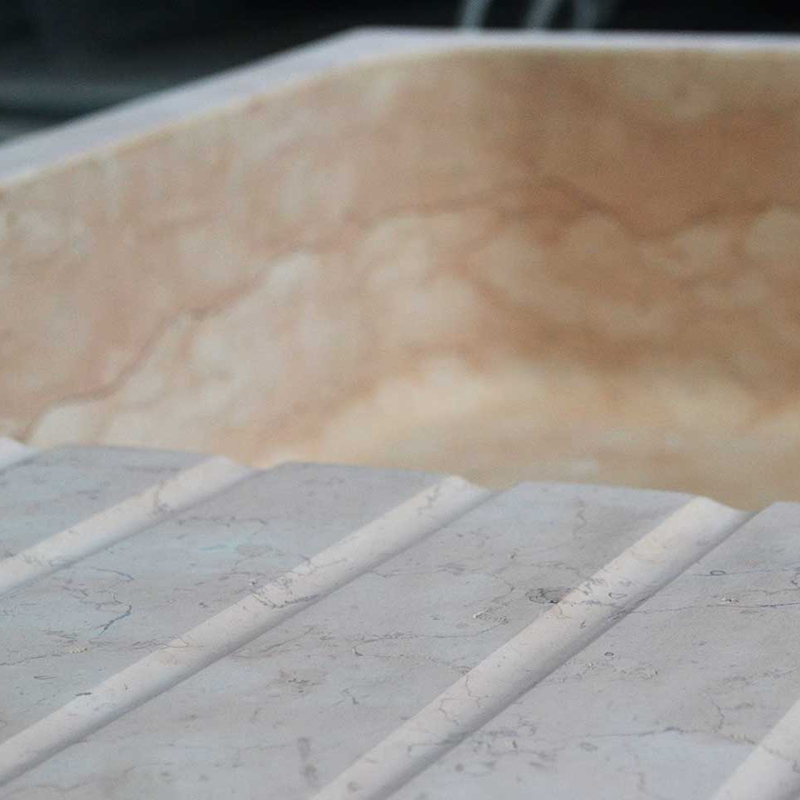 It is in the kitchen that it is possible to apply a wide range of materials: quartzes, marble, cement, Mondo Marmo Design can guarentee excellent results using any stone material. A consultancy support for designers and full attention to all details during execution. 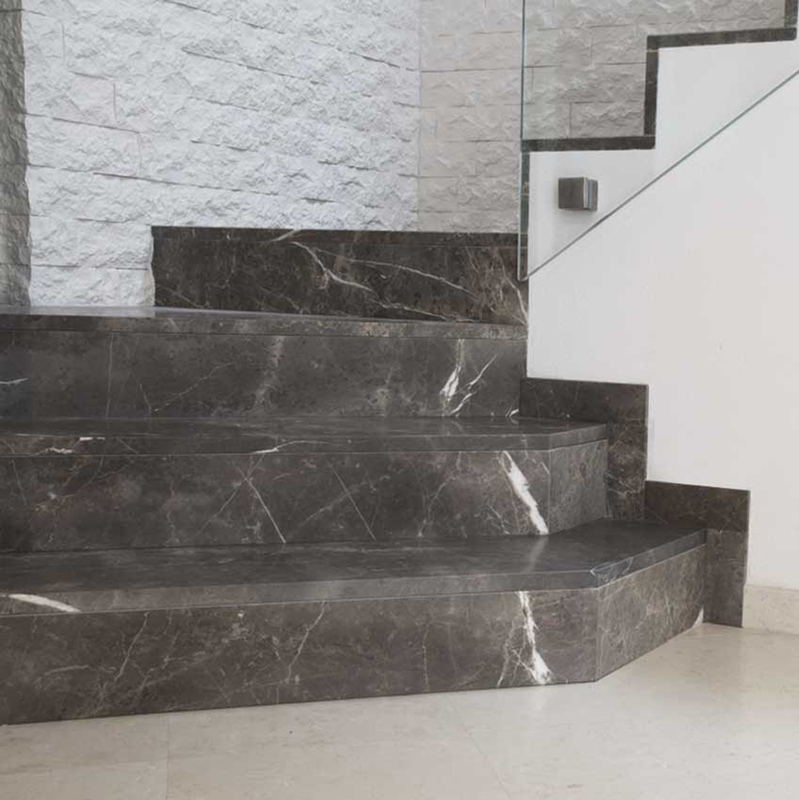 The beauty of a staircase covered in marble cannot be equalled, especially if the marble has been selected and installed with the attention of an expert eye. 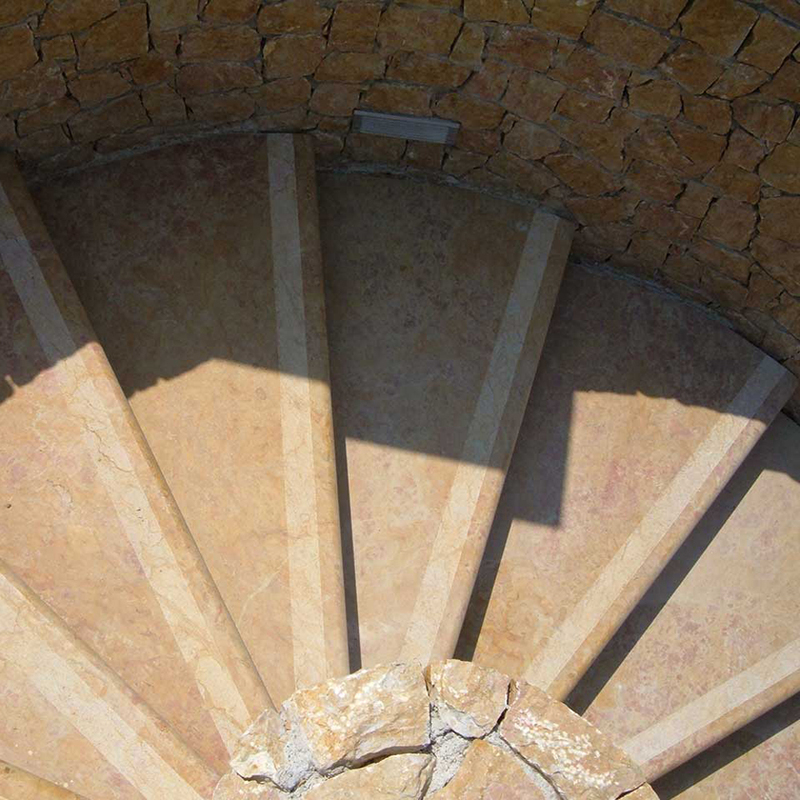 Fan-shaped stairs, stairs with interposed landings, polygon shaped or with a special semi-circular design, all are in the repertoire of Mondo Marmo Design and this, thanks to a blend of high- precision tools and specialised workmen..
Mondo Marmo Design is, thus, able to manage all elements of an external project, with the support of a technical department with the competence and capacity to make detailed quotations across a broad range of materials, be it the cutting of an iron fence area or floor covering in marble, granite or various cement types. A single partner for a quality project. 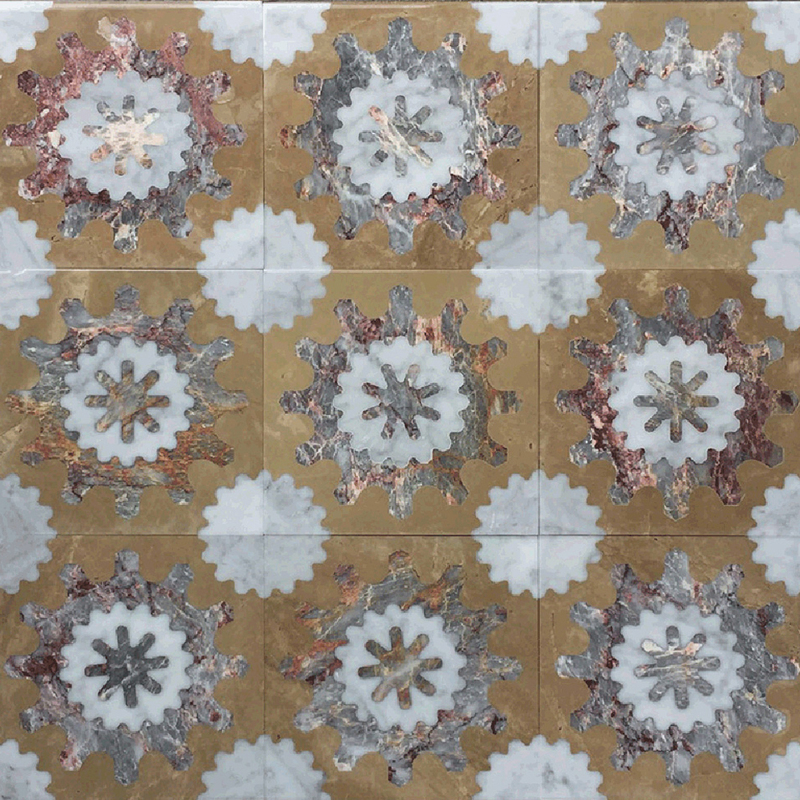 Thanks to state of the art machinery in its range of computer controlled cutters and water jet cutting units, Mondo Marmo Design is able to make most precise inlays in a wide range of materials and can even make inlays in relief.